/ Angels / What is a Business Angel? Angel investors are differentiated from passive private investors by their commitment to invest both Financial Capital and Intellectual Capital. The Intellectual Capital, their time, contacts and expertise are seen as a key element in the Angel investing strategy that helps mitigate risk and promote success. This Intellectual Capital – technical skills, industry specific knowledge and more broadly based management experience – brings real value to a growing company. Business Angels frequently act as a ‘sounding board’ for management to discuss strategy options and plans, bringing commercial common sense and a steady hand in times of crisis. This combination of finance and practical support is often referred to as “Smart Cash”. A recent survey of Business Angel-supported firms showed that many considered the Business Angels’ contacts and know-how to be even more important than the provision of finance. ‘Cashed Up’ entrepreneurs, active in a range of business and communal activities. Allocate 5%-10% of their investment portfolio to Angel investments. Savvy Angels aim to make at least 10 investments. Do it for their own interest, to give back and to make money (but not just for the money). They enjoy having involvement in the process and with companies post investment. They normally invest in sectors they understand and usually close to home. 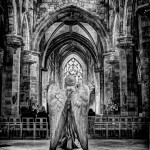 Angels are typically associated with early stage and start up technology companies, but in reality they can invest in business of any size, at any stage of development and in any sector that appeals to them. They most frequently take an equity stake in the company, but may also provide loans, guarantees or take a revenue share.